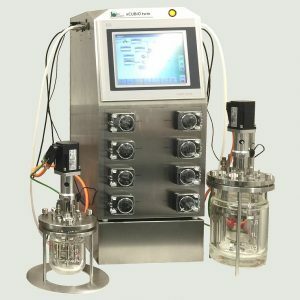 The xCUBIO twin provides space- and resource-saving parallel operation in two vessels with just one single automation. 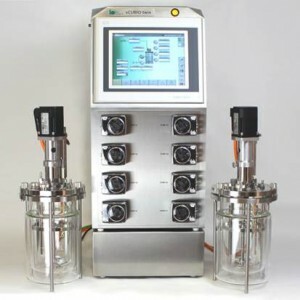 Experiments can be done in steps while both vessels are perfectly split for aseptic conditions. Vessel geometry or equipment variations do allow comparative tests of two different approaches in the meantime. 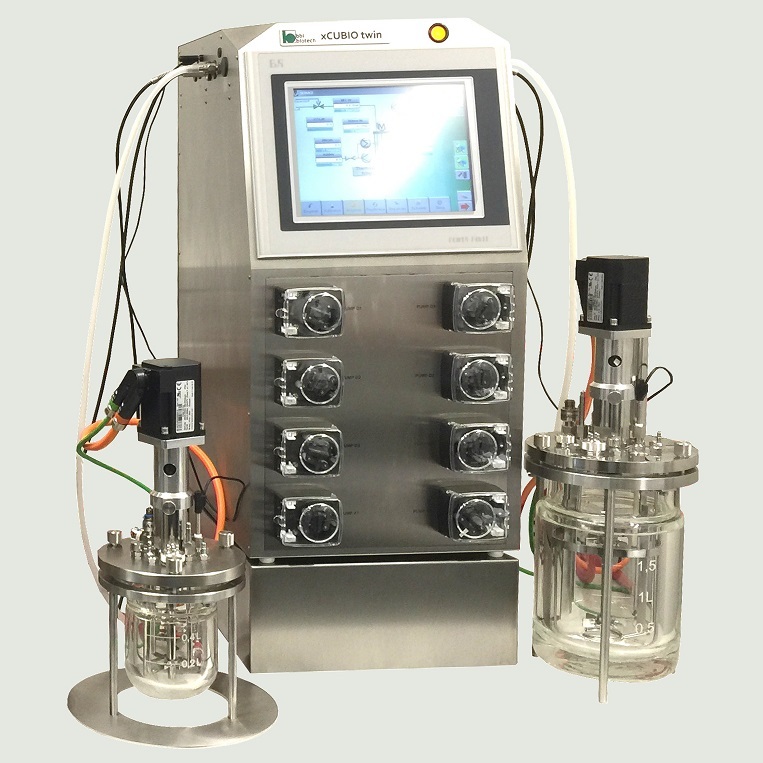 Scale-in-One-Design finally provides integrated scaling with internal inoculum production – fully automated! Scale-in-One-Option: fully automated scaling process in just one device!